Women's Appreciation Series: Christine Gallagher! Women’s Appreciation Series: Christine Gallagher! 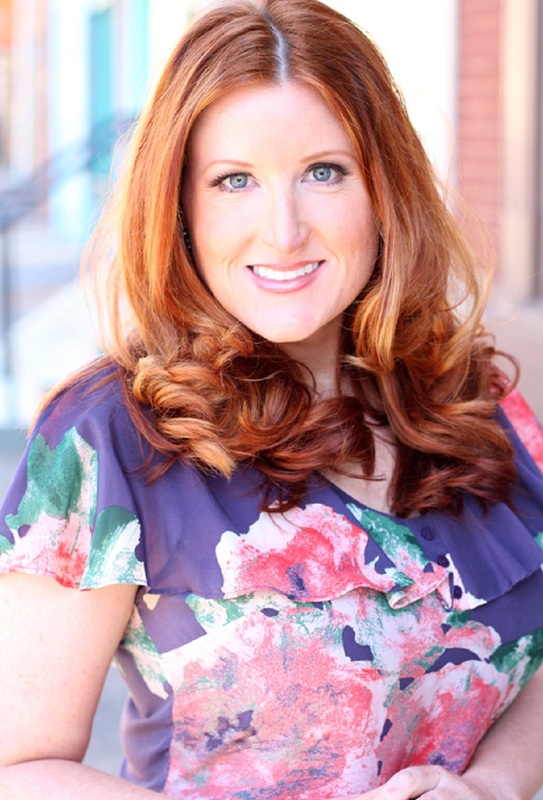 Christine Gallagher is a self-made female entrepreneur and social media and marketing relationship specialist who founded She’s Got Clients and started her very own marketing strategy system, Get Clients Online System™, to help small business owners market themselves through the internet. Through vigorous work with clients and coaching throughout her career, Christine has developed her system to suit a large variety of clients, an adjustable system that has proved extremely successful. What she calls her “fluff-free expertise,” has spurred the success of many budding entrepreneurs. How did you get inspired to start She’s Got Clients? I’ve always been interested in media, communication and technology. In college it was mass media—TV and radio. But you can say I’ve been an Internet junkie since I was a teenager, it’s always been fascinating to me. I started my first blog in 2004, and as new media was really coming to the forefront—what people began referring to as Web 2.0—I became really enamored with it. Around the same time, I was bit by the entrepreneurial bug and ended up starting a couple of small, part-time businesses. I became painfully aware of how big of a role marketing played in keeping a solo business afloat. (I.e., I wasn’t making any money!) It wasn’t enough to just be good at your craft; you had to get the word out about yourself in a BIG way. But I didn’t relish the idea of running around to networking meeting after networking meeting. I thought that there had to be a better way. I began noticing that more and more entrepreneurs were using the Internet to market themselves and their businesses. Since I was so comfortable with technology, I really immersed myself in learning all of these online marketing techniques. There started to be a buzz around this thing called social media and I was drawn to how it could be used to connect to all of these potential clients and customers. And, be done in a very natural and authentic way. As I used it to market my own businesses, I discovered I also had a real knack for helping others simplify and implement social media as a strategy. Because so many entrepreneurs struggle with marketing, I realized there was a real need to teach these techniques. I began growing my little consulting business by leaps and bounds, with almost nothing but social media. People were sitting up and taking notice and constantly asking me what it was that I was doing. Because I knew I could map out exactly what I was doing and help others achieve the same results I had (in even less time)—I decided to create a real-world, step-by-step system for consistently bringing in new clients and customers using the Internet. That “roadmap” became my best-selling Get Clients Online System™. People loved the content of that system and began to ask for even more personalized help from me to implement what they were learning. As I worked with more and more private clients in a coaching capacity, I began seeing that a need to better learn how to market may have brought them in the door initially, but that the other necessary component of being a high-achieving entrepreneur is having a successful mindset. Today, the work that I do with my clients is very much focused on both of those crucial pieces, and I am devoted to helping women entrepreneurs make more money, enjoy more freedom, and stand out as a go-to leader and expert in their field through the power of authentic marketing—AND a mindset that comes from a place of prosperity. Probably staying in faith, especially in the early days when I had no idea if I was really going to hack this entrepreneurship thing. It was a muscle I had to build—and still do. When you can’t see the whole picture or the end result what you’re doing is walking in faith. Trusting that things are going to work out and happen for you. It’s not always easy, especially if you have people in your life who are doubting you or are naysayers. I didn’t have too much of that aspect, but I know others often do. For me, it was hard sometimes to keep walking forward without guarantees. But because I stayed in action and motion, my confidence kept building as I accomplished things. In hindsight, would you change any business decisions you made in the past? If so, why? Is there anything specific you offer in your program that makes you different from other Relationship Marketing mentors? There are three main things: first, I have a “techy” side and background to me, and I find that certain clients really appreciate this knowledge and skill, in addition to the marketing savvy—and not many business coaches have both; second, I take a customized approach with my clients because I’m not about cookie-cutter methods—every business is different and it’s not one size fits all; and third, I only work with solo entrepreneurs and owners of very small, primarily service-based businesses—I don’t provide consulting to big companies, or to people who work in the corporate realm. My focus is narrow in that my specific expertise is in using authentic, relationship-focused marketing and Internet strategies to attract more clients, make more money and craft a flexible, freedom-based business. What this means is that my clients tap into specific, fluff-free expertise tailored to the solo entrepreneur. Was there a certain marketing aspect of She’s Got Clients that you utilized that you think really made it successful? Being consistent and persistent! Yes, you have to embrace and understand good marketing and know your market and understand what their needs are, but I think that the fact that I kept at it, tweaked when needed and didn’t let things that didn’t work out deter me are the real keys to my marketing success. Plus, I make sure I am always learning and staying on the cutting edge. What aspect about yourself has made you a successful female business owner? One of the biggest things is having the drive. Looking back I think I’ve always been a driven person and that is definitely a plus. But also just having a love and passion for what I do and for my clients. I genuinely get so much joy from helping them grow their businesses AND their mindsets and beliefs about what they are capable of. I also like to think of myself as being authentic too, which I believe people appreciate—especially these days. People want REAL. Has owning your business changed you or made you grow as a person? If so, how? Without a doubt. I’ve heard people say it’s the biggest personal growth exercise in the world—owning and growing your own business. I’ve definitely found that to be true. It shows you what you are made of. If you’ve been waiting, don’t wait anymore. Go for it. If you’ve started it and you’re still working hard to grow that baby, don’t give up. Remember why you wanted to do it in the first place. Focus on service, and serving your clients and customers. The money will come. Be prepared for ups and downs, but know that entrepreneurship is one of the most rewarding things in the world. Surround yourself with people who champion and encourage you. Get a mentor or a coach—know that you can’t do it alone. Learn to stay in faith and keep your eyes on that amazing vision you have that led you on this path originally.